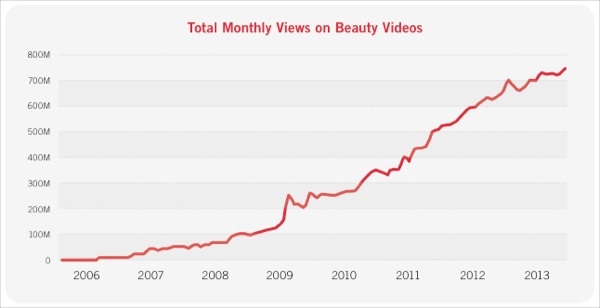 Beauty has become a massive category on YouTube, with 700 million views/month, up from 300 million/month in 2010. Tutorials are the top format, with 39% of all views. Over 75 hours of beauty video are uploaded to YouTube daily. But Pixability found that YouTube’s independent beauty personalities and vloggers produce the vast majority of these videos. Top vloggers' channels have 10 times more videos than those of beauty brands, with vloggers publishing 7 times more frequently than brands. As a result, beauty brands' videos only appear 2.5% of the time in YouTube's search results for beauty's top keywords. Pixability also notes that non-brand YouTube tutorials have emerged as a "lifestyle utility," watched in the morning and in the evening on the East and West Coast as viewers prepare for work or a night out. Major brands, by comparison, have relatively flat views and searching regardless of the time of day. Beauty videos capture consumers early on in the decision cycle, plus most of that is purely organic. Pixability discovered that just a handful of major beauty brands are effectively incorporating YouTube into their web and commerce initiatives, while only a few are successfully working with YouTube’s vlogger community. Rob Ciampa, CMO of Pixability, said that brands that embrace YouTube as a critical digital marketing medium can see outstanding results. “Brands that mistakenly treat YouTube as a quasi-television station should not be surprised by dismal ROI,” he added. The top brand channels in terms of view count on YouTube are Dior (99.8M), Dove (85.6M), Chanel (74.2M) and Victoria's Secret (73M). The fifth-highest, Burberry, has just 27.8M. The top brands in terms of videos published are Sephora (770), Lush (699), Dolce & Gabana (620). Another interesting finding is that many online beauty videos are longer than typical YouTube videos. “When it comes to beauty video, long-form YouTube content works really well,” said Ciampa, which is contrary to popular opinions that consumers only want to watch short online video clips. He pointed out that top beauty brand e.l.f. 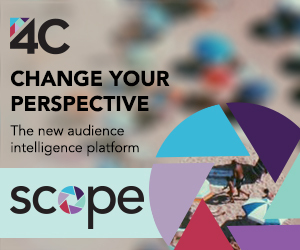 is one of the few companies that is doing well on YouTube by curating content and also creating both short and long-form videos. YouTube’s top 25 beauty vloggers also receive 2,600% more comments on their made-for-YouTube content on average than beauty brand channels’ content. Ciampa said that if brands decide to turn off YouTube comments, they most likely end up losing people who ultimately want to engage and exchange ideas. Pixability also makes 5 best practice recommendations for how brands can succeed on YouTube. The report, “Beauty on YouTube: How YouTube is Radically Transforming the Beauty Industry and What That Means for Brands,” analyzed how 168 major beauty brands and 45,000 YouTube beauty-focused personalities manage, produce, and socialize over 877K hair care, skin care, makeup, and nail videos.